Conspiracy against President and former Defence Secretary? An organization by the name of Anti-Corruption Force (Dushana Virodhi Balakaya) has uncovered an alleged conspiracy to assassinate President Maithripala Sirisena and former Defence Secretary Gotabhaya Rajapaksa. The organization filed a complaint at the Police Commission today (13) regarding the alleged conspiracy. 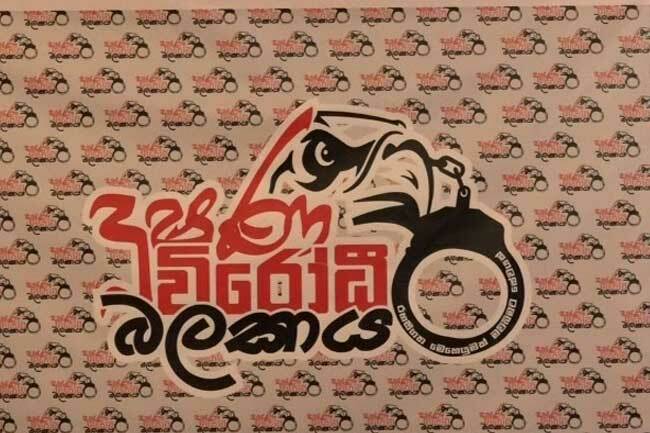 Responding to a query by Ada Derana, Police Media Spokesperson Superintendent of Police Ruwan Gunasekara stated that the Inspector General of Police (IGP) has issued an order to the Police Special Investigation Unit to probe the complaint filed by the Anti-Corruption Force. The Anti-Corruption Force yesterday (12) disclosed several telephone conversations allegedly made by the Deputy Inspector General (DIG) of Police Nalaka De Silva of the Terrorist Investigation Division (TID).